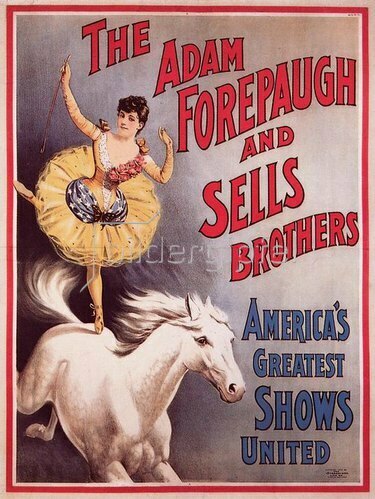 Society / Circus / Posters: THE ADAM FOREPAUGH AND SELLS BROTHERS / AMERICAS GREATEST SHOWS UNITED. Colour lithograph, 1902, 97.8 × 75 cm. Print: Strobridge, Cincinnati (USA). Private collection.